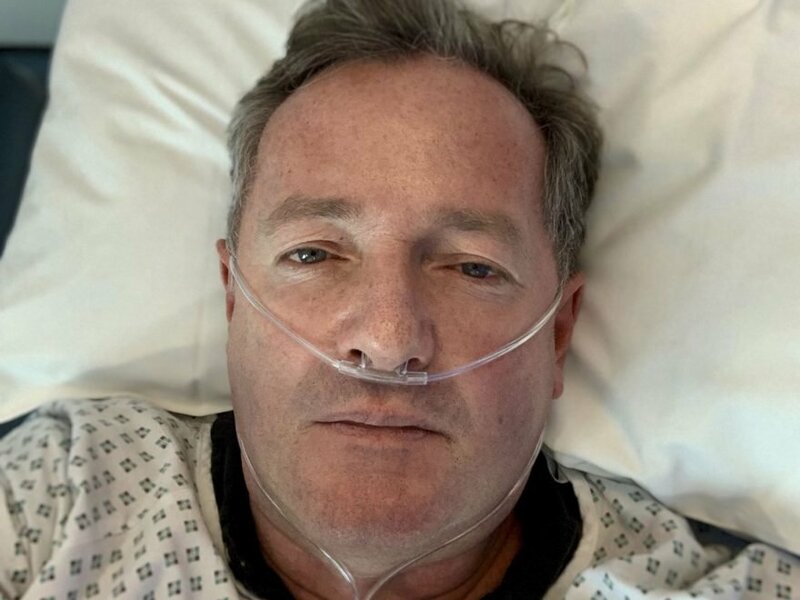 Piers Morgan has been hospitalized. In the image, Morgan, 53, is wearing a hospital gown and a nasal breathing tube. The photo was taken at the Bupa Cromwell Hospital in London. Morgan did not share any additional information about why he was hospitalized, or what his “extensive” tests were for. According to U.K. publication The Mirror, Morgan will be back to work at Good Morning Britain on Monday, where he will also be making a statement about his health. Although it’s currently unknown what prompted Morgan’s trip to the hospital, in December, he came into work at Good Morning Britain while suffering from a cold that left him “sweating like a pig,” Metro reported. Shortly before sharing the news that he had been hospitalized, Morgan found himself embroiled in yet another celebrity feud — this time with Sophie Turner. On Thursday, Morgan retweeted an article about comments English actress Beverley Callard had made about mental health, where she warned against the “danger” of mental illness becoming too “fashionable” among celebrities. “She’ll be hammered for saying this, but it’s 100% true,” Morgan tweeted. “But please go ahead and shun them back into silence,” she added.